Welcome back to Medieval Monday! 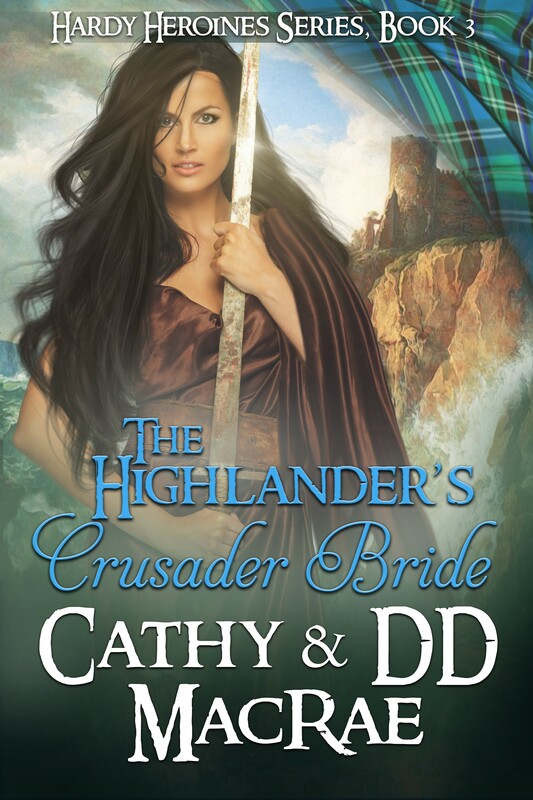 It’s Week Seven of our “Family” theme, and I’m excited to feature an excerpt from Cathy and DD MacRae’s The Highlander’s Crusader Bride, the third book in the Hardy Heroines series. Don’t you love the cover?! Be sure to visit and leave a comment for a chance to win a digital copy of Flight of the Raven or your choice of another of my books. Next week, I’ll have the eighth and final snippet right here on my blog. Bram slanted her a look from the corner of his eyes. Don’t forget: commenters each week will be entered into a drawing for a free digital copy of The Highlander’s Crusader Bride! Thanks so much for hosting me today, Judith! Love the cover and snippet, Cathy! Me too on the cover 🙂 Delightful snipped and blurb. This story sounds so good. Looking at the “warrior” on the front, really pulls you in!